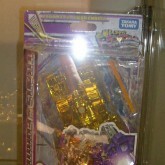 A limited edition Lucky Draw version of Henkei Galvatron. 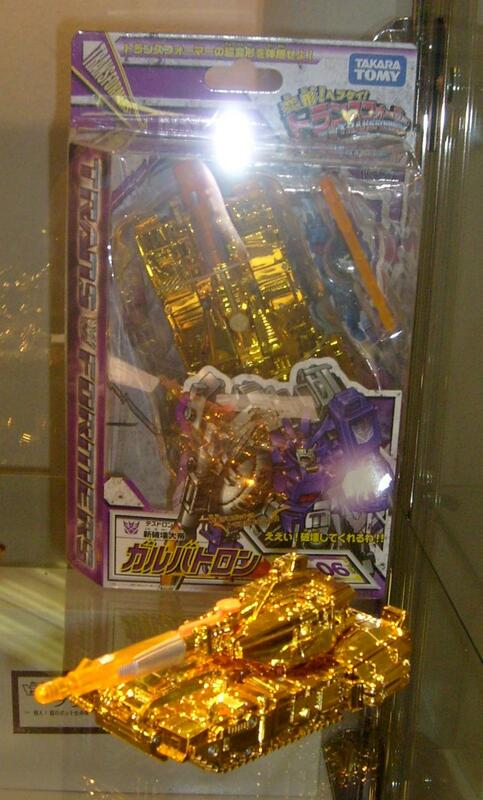 Limited to five pieces (although the production run may have been slightly larger), he was a part of the TV Magazine 2008 end of year prize draw campaign along with the Lucky Draw Henkei Convoy. Beware of fake "Lucky Draw" Henkei Galvatrons. The counterfeit ones typically have orange plastic on the trigger mechanism on the tank barrel, as shown by the loose sample in the image above. Genuine Lucky Draw Galvatrons have yellow plastic on the trigger mechanism, like the sealed example shown in the image above.